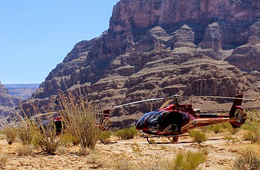 Fly in style to the Grand Canyon West Ranch for a night of cowboy fun in the desert. Enjoy a candlelit dinner and a campfire under the twinkling night sky as you escape the crowds of Las Vegas. Stay in a pine cabin or for a little more adventure, an authentic Indian Tipi (teepee). 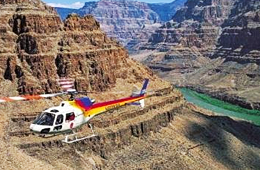 Take a helicopter ride from Las Vegas to the Grand Canyon ranch, a historic location away from the hustle and bustle of the big city. 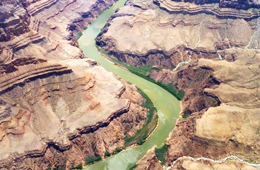 You will see the Hoover Dam, Lake Mead and – of course – the Grand Canyon on your flight to the ranch. Once you land near the ranch, you are treated to an authentic wagon ride through the Joshua Tree forest. You then check in your cabin or tipi, whichever you have booked, enjoy a champagne welcome drink, and a romantic candlelight 3-course dinner in the ranch house. Afterwards you have enough time to sit by a campfire looking at the stars above and the widths of the land in front. The next morning you are treated to a hearty ranch breakfast before your once again board one of the state of the art helicopters to return to the strip. Optional ranch activities, like a Buffalo Safari or a guided horseback ride are available as well.